Java program to calculate the distance between two points. The code has been written in five different formats using standard values, taking inputs through scanner class, command line arguments, while loop and, do while loop, creating a separate class. If you nay doubts related to the information that we shared do leave a comment here at the end of the post. How to calculate the distance between two points? 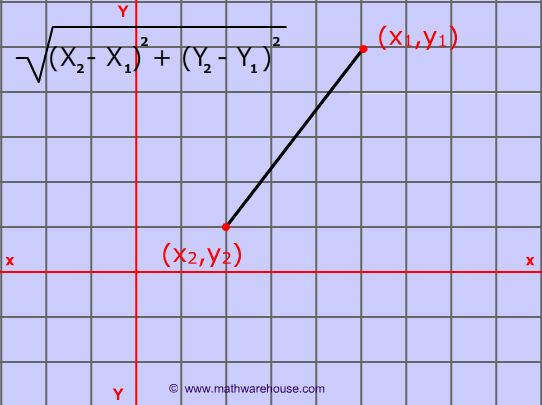 The distance between two points formula derived from the Pythagorean Theorem. What is the formula to find the distance between two points? To find the distance between two points (x1,y1) and (x2,y2), all that you need to do is use the coordinates of these ordered pairs and apply the formula pictured below. There you go formula-based program with sample output. Sample code #2: Taking inputs through scanner class. Taking inputs through command line arguments. Do check out the complete guide on command line arguments here. By using a user-defined method.